Remember that all Tuesday training will be at the Athletics track from 5:45 pm onwards. This wil be every Tuesday in April. This is an optional gold coin donation. It was great to see a lot of people making the donation to the club to cover cost. April Handicap will be at the Athletics track. April 8, starting at 8 am over 1, 600 mtrs. 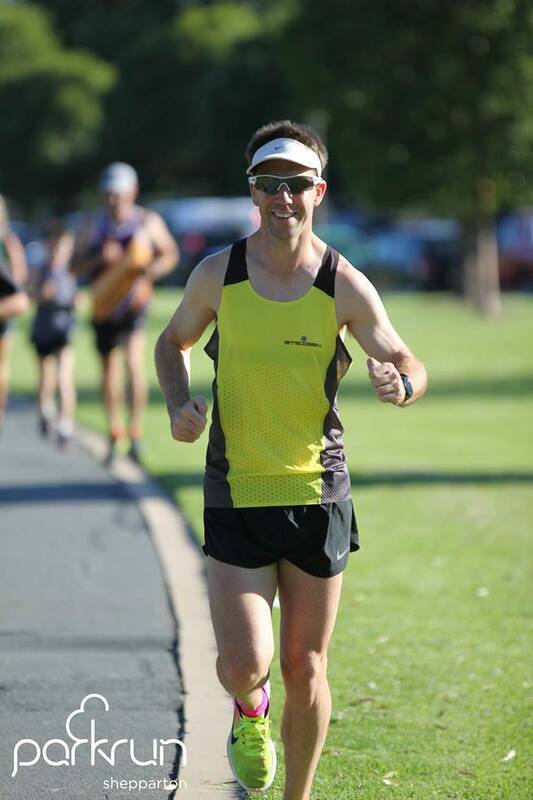 It was exciting to be able to participate in the inaugural Murray Running Festival on Sunday. 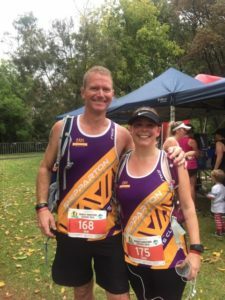 This would be number 3 of our 12in12 marathon challenge that Narelle and I have now completed for the year. We took the early start (6am) for the marathon which meant we had gear up with headlights. It was a bit unsettling heading into the bush in the dark on an unfamiliar track with no on-course assistance for direction. We did have a few moments when we had to sanity check whether we had to turn or not! The course was certainly picturesque with the river and trees distracting you as you ran, however it was not entirely flat; there were definitely some steep hills that most certainly took our breath away. There were was also a lot of refreshing rain during the run. 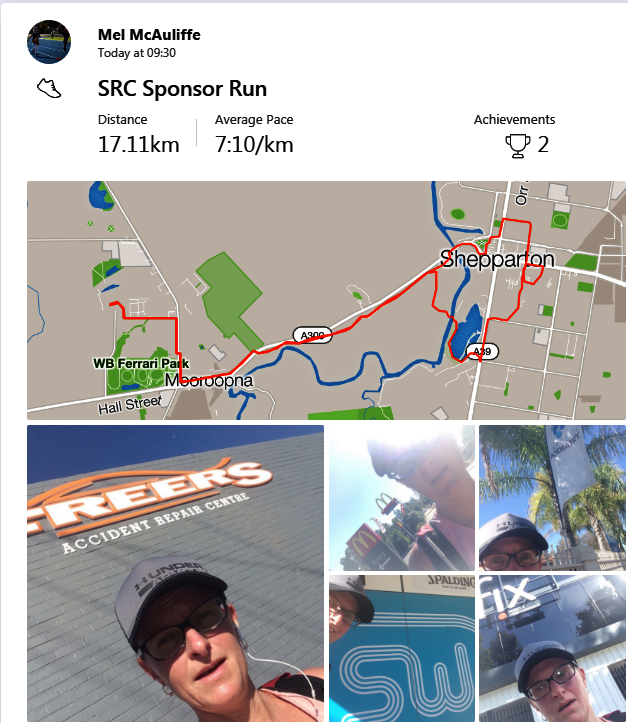 It was great to once again see a number of the SRC crew out there on course taking part in the various distances and pulling out some great results with some doing the half for the first time! Awesome effort by all. After completing our 3rd marathon for the year, we definitely have sore legs and tired bodies but we stay motivated to the challenge because we are spreading an important message and continue to be a voice for kids in our community by raising awareness and funds to help prevent child sexual assault. 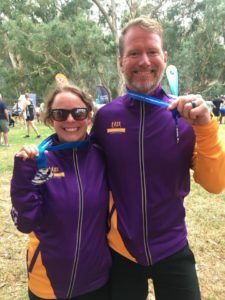 Tara and I decided that overnighting in Albury would be the best start to doing our first half-marathon at the Murray Running Festival. Carb loaded and prepared for an 8am start, the drizzle came and went throughout the morning. Having around 10 members of the SRC gave us all a bit of encouragement. I was very pleased to have stuck with my running plan, that is, don’t bust a gut too early, and Tara was very happy with her pace and finish time. We are so pleased, we now have three more half marathons booked in for the year. 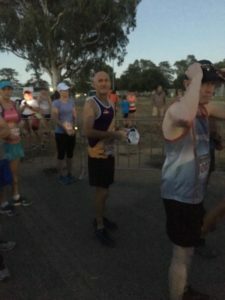 I entered the Marathon at Albury. Due to a knee injury my training in particular my long runs were not happening. 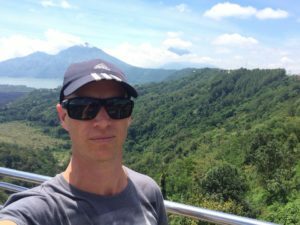 My long runs were 25 – 30 km.I never went over 30 km and I knew I should. So after contacting the organisers I decided to down grade to the half. On the Thursday before the race I fell off a ladder at work injuring my arm. Although x-rays showed no break I was in a lot of pain and movement was very limited. With the assistance of Panadeine Forte and a few days I was on a road trip with Sam and Tara to Albury. After picking up our race numbers and meeting other SRC members we headed off to the motel before going out for a pub meal. At 3 am I was woken by pouring rain but quickly went back to sleep. After a light breakfast, pain killers, and several cups of coffee Sam, Tara and I headed off to the start line. After starting, my first aim was to settle into a comfortable pace and not get drawn into trying to keep up with someone else. Melanie and Sam pulled away from me early at a pace I didn’t want to try to keep up to. Tara slipped in behind me early. I wanted a pace around the same as I did at Wangaratta 4 weeks earlier. The aim was about 6:48 min/km, but I was going to be happy to finish this one. My 5 km splits were 33:47, 34:04, 33:29, & 34:39. Then 6:50 for the last km and a bit. This got me a time of 2:22:42. So I was happy with that. My experience of the course. It was super picturesque running on sealed path and gravel path along the Murray river and past swamps through bush land. If that’s all Albury has done for bike paths , they have done a bloody good job. 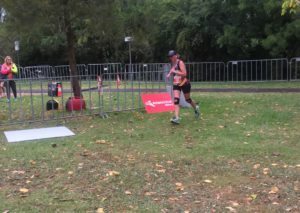 Although I thought there was enough drink stations on course, if it was a hotter day I think they would need them every 4 km not about every 5 km as they had them. The Tailwind drink supplied on course was good and not too sweet. And I am puzzled at their decision to have no bling at the end to save money. They will be posted. Well that’s a first. I am also puzzled at the cut off time for the marathon of 5 hours due to opening roads. We didn’t run on roads. There were 60 entrants in the marathon and just under 400 in total. Will I be back next year. YEP! But I will be staying off ladders and running the marathon. 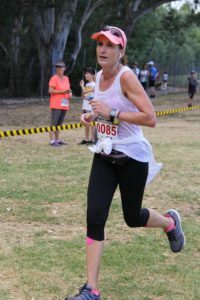 It was an easy decision signing up for Albury’s first “Murray Marathon Festival” as my mum and brother live there and I know how beautiful the paths are in the area. So I signed up and worked out a training plan (actually I did that in the reverse order) with a goal of beating my GOR time. 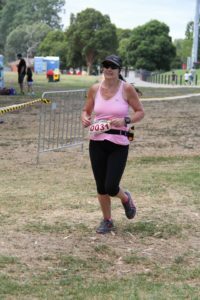 Training for my second half marathon was a lot more relaxing this time around, but in the last few weeks I started to doubt myself as my legs grew heavy and my knee made itself known with regular little twinges taunting me. So I took it easy and did a few little runs and rides while tapering. 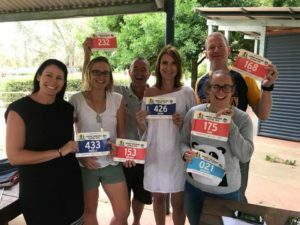 Counting down the days and hours was fun with other SRC members and when we all made our way to Albury it was great to all meet at the park on Saturday arvo for bib collection. The weather was a bit crazy that day, it rained, storms loomed and the temperature dropped a little but hey when has the weather ever looked perfect for a planned run. At least it wasn’t 40 deg. I slept really well (despite being woken by winds and rain during the night), woke on time and was at the park just after 7. 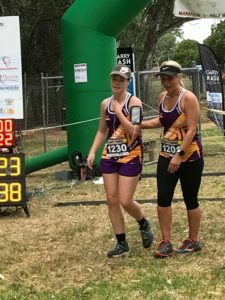 The temperature was perfect and the rain had stopped and as we were waiting for the race brief we saw Kathy and Narelle go past having just finished the first 18 kms of their Marathon. At 8am we were off. And I was quickly reminded of all the hills on the course. The track was beautiful and it took all my will power not to stop to take photos when I passed a pod of pelicans (yes I googled that) and other gorgeous sites. As usual everyone on track was super friendly and supportive and there were plenty of places for spectators to stalk their family and friends on track. It rained a few times but it was light and perfectly timed as it was starting to warm up and as part of the track was dirt the rain kept away the dust and loose stones. The course was an 18km loop followed but a short 1.5km in and out. My knees held up ok, at 12 kms I stopped to tighten my braces but by 17 kms they were sore. The hills had taken their toll and on the declines I was running with my left leg out to avoid bending it (it must have been hilarious for whoever was behind me) I made up time on the straights and I managed to keep a pace of around 6.30 for the majority of the run. Running past the start/finish at 18km was great as you saw familiar faces, heard cheers of support and knew then end was near (and another freaking hill). I had to walk the last hair pin and a little bit on the last hill but once I saw the finish line I picked up the pace (a fraction) and crossed the line. I did shed a few tears when I saw my time of 2:17 as I was sure I was over 2:20. I quickly found the other SRC members and we cheered home the final runners. We didn’t hang around much afterwards as due to the start times all being an hour apart we all finished within about 30 mins of each other. Will I be back = YES, definitely. I loved it…..
On Sunday the 25th of March Nan, Pa and I arrived at Norieul Park, Albury. After talking for a little bit we saw Kathy and Narelle run past us while they were doing the marathon. Then Steve, Tara, Sam, Melanie, Pa and I set off for the half marathon, at the start it was a bit crowded but after one kilometre everyone found their pace. I ran with Pa for about three kilometres, then I felt good so I gradually picked up the pace. 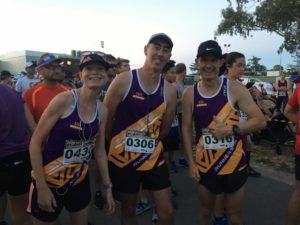 At about 14 kilometres i ran past Mairead and Steve and Lydia Monk. A little bit later it started pouring down rain I kept a steady pace throughout the whole run and then at the last 100 metres I still had enough energy for a sprint finish. Overall the course was great, it only had a couple of big hills. Now at the age of 13 i can officially run a half marathon, and I am very proud of that achievement. Plus a time of 1:40 i can’t complain with. If you can help out with the Mothers Day Classic as a pacer please contact Kathy Fuller or Narell Pell. Please get a good nights sleep before driving to your destination this Easter. Being tired is the equivalent of drink driving. 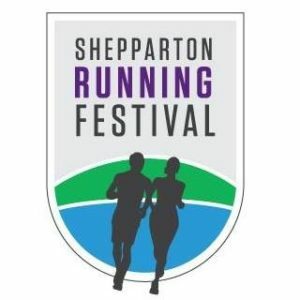 Athletics Track – The Shepparton Runners Club has booked the athletics track for the following Tuesdays for our training session. At this stage the club doesn’t anticiapate any further bookings until Sprng. If this changes we will let you know. So get in now and make use of this opportunity. NB. 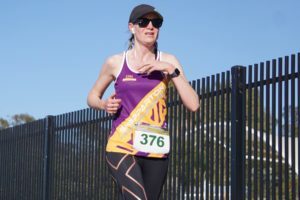 Kathy and Narrelle will be running their 3rd marathon this year to raise funds and awareness for GVCASA and the prevention of child sexual assault. 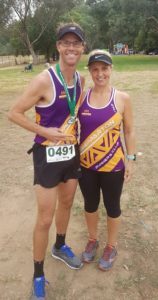 Despite training for the marathon Steven Trevaskis has downgraded to the half marathon due to a knee niggle that has reduced his training. Remember to check Strava and Facebook from 10 am onwards to see how #sheppresent went. 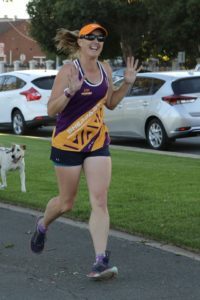 Cadels ran 137 Parkruns in Shepparton to make his total 150 parkruns. 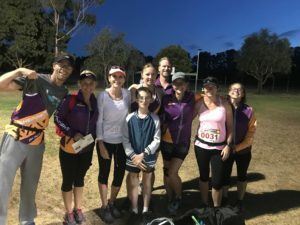 Congratulations Cadel on 150 parkruns. I didn’t organise myself enough to get a runner profile for the week. So instead I did this! 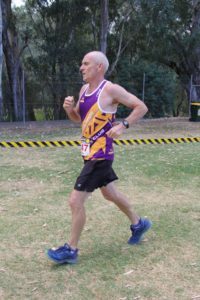 Lee Joseph Troop (born 22 March 1973) is an Olympic marathon runner from Geelong, Victoria, Australia. 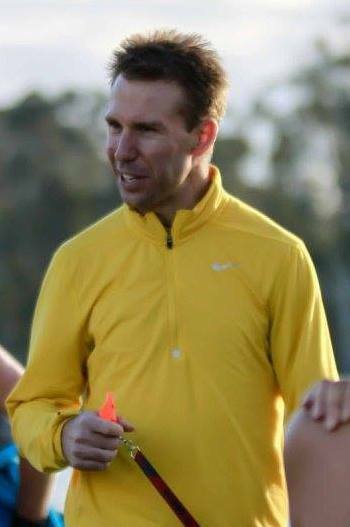 He started out as a long-distance track runner and he represented Australia in the 5000 m at the 1998 Commonwealth Games and attended his first World Championships in Athletics the following year. 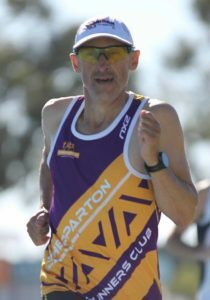 He broke the Australian record in the 5000 m in 1999 and changed to the marathon distance in 2000. He made his Olympic debut in the 2000 Olympic marathon race in Australia but finished in 66th place after an injury. 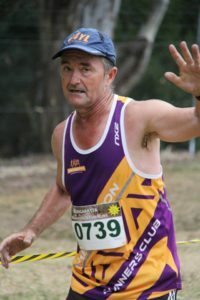 Further injuries interrupted his next two seasons, but he returned and finished in 17th in the marathon at the 2003 World Championships and 27th at the 2004 Athens Olympics. He qualified for the 2008 Beijing Olympics but despite his aim of making the top-ten, he finished in 60th place. 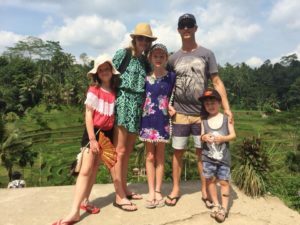 Not bragging but it’s not every day you visit rice terraces and temples, eat a buffet Asian lunch on the edge of a volcano and drink Luwak coffee (Google it). But that’s what Kate and Paul Dainton are doing. I thought about writing this article a while ago, but found it pointless, as it wouldn’t resonate as many people as it would now. Now lets not kid ourselves, we all know that we have stopped striving for our resolution, whether being fitter, wealthier, more compassion. And don’t be disappointed about that as the whole resolution thing has failed us, it’s an impossible mission that only the 1% can achieve. I wouldn’t expect you to go from A to B straight away, but the resolution makes it sound like that with no struggle, no hardship, hence why everyone makes one and feels good about it. So why is it so hard? Why is it a plan for failure? Answer → Motiviation. Motivation is overrated, it comes and goes and is very unreliable. Its that 1% who are motivated everyday and can create change in there life and stick to it. But for the majority, we are motivated for one month, one week, one day and then CBF the next! SO, what can we do instead? Firstly, drop the tag of resolution, its not a diet that you try for a while then change to the next one, this is a lifestyle/habit change, its lifelong! Secondly, lets be super, super clear on the end result, the final product, and what sort of emotions are behind it. There is a difference between toning/losing 5 kg, and losing 5kg, dropping 5cms of your waistline to fit into your wedding dress/suit. OR earning 100k in the financial year, and earning 100k to have more financial freedom to do more of things you love or to help disadvantage people. Thirdly, there is a process to creating a behavioral change, from creating a routine → habit formation → behavioral change. This is the most important part, and where most people fail as they skip the routine and habit formation straight to behavioral change. So, how do we create this routine? It starts with having a plan, structure and time management around the routine, as people are mostly time poor and excuses will come through not having time. So for example your trying to lose weight, and you know your don’t get home till 8pm, your tired from a long days work, I know for sure the last thing you want to do is cook a healthy meal. BUT, what if you knew that, and were in the routine of meal prepping when you had time to prepare it all. And in the routine of going to the gym at a specific time each day, or you make adjustments knowing your schedule. Fail to plan is a plan to fail. When you get really good at structuring and planning your life out for what’s important for you, it becomes habitual, then ultimately a behavior. 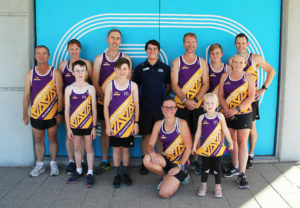 March Handicap – March 8, Athletics track, 8 am to 10 am. Three 1600 mtrs races. Event will be created on Facebook shortly. 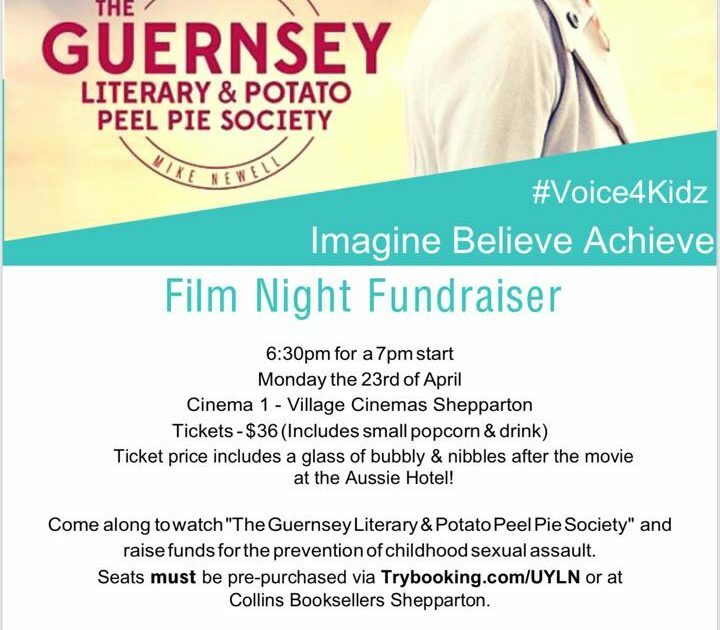 For more information please see Chris Armstrong. After the handicap we will head back to the clubrooms for a working bee in the garden. Hopefully we will get enough number to make this a fun and quick activity. 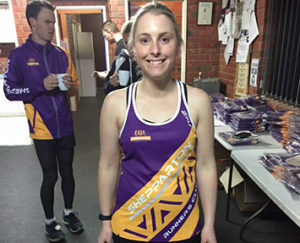 Within the next few weeks, Julz Mulcahy will be leaving the Goulburn Vally for Bendigo. We would all like to wish her well in her new adventure. By the way, we have just clocked over 400 followers on this page. With 390 on the social page and over 150 newsletter subscribers. Well done us. From 2014 – 17 Tom has run un 19 minutes every year at Parkrun. 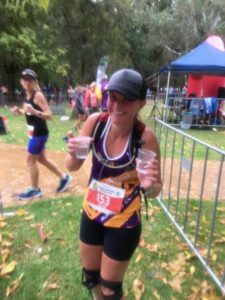 What are your best Triathlons that you have done? time 4.41, 2nd in age category world championship qualifier. 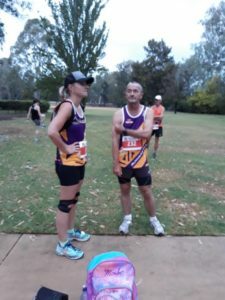 Every runner out there having a crack provides plenty of inspiration. Simone Masters Chelsea, they are great people. 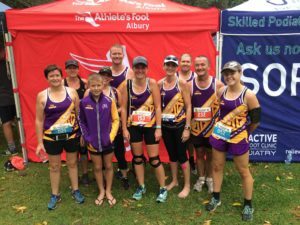 It was a big week of PB’s, tourism and celebrations. Read all about it in this weeks newsletter. We are also chasing some more volunteers for the coming weeks. If you can help please contact us! We look forward to seeing everyone again this Saturday for event 214. Don’t forget your barcode! These healthy no food processor protein balls just require a mixing bowl! Easy, gluten free, can easily be made dairy free and vegan. Place the peanut butter and honey in a large bowl and use a spoon to mix them together a little. Add the oats, 1/4 cup of desiccated coconut and 1/4 cup of the protein powder to the bowl (i.e. only add half of the protein powder to begin with). Using a wooden spoon or a sturdy spatula, start combining all of the ingredients together. They should form a slightly sticky dough, with a consistency where it can be rolled into balls. Once the mixture has largely come together, you can test it by rolling a bit into a ball with your hands. If it’s too wet, add extra protein powder until it reaches the right consistency. Roll heaped tablespoons of the dough into balls, and then roll in the extra desiccated coconut to coat. Place the balls in the fridge to firm up a little. Leave them stored in the fridge in an airtight container, or alternatively freeze them for a longer life (where they should keep for about 3 months). *Other liquid sweeteners you can use in this recipe include maple syrup, rice malt syrup, coconut syrup and/or date syrup. *You can use plain rolled oats, sometimes called “jumbo oats”, or porridge oats (which are slightly more finely milled) in this recipe, either should work just fine. Plain rolled oats will give you a more chunky texture. *Choose a good quality protein powder! The quality and flavour of your protein powder will greatly influence the end result here. I really like vanilla in mine, but occasionally swap it up and use a cacao-containing protein powder for a chocolate hit.